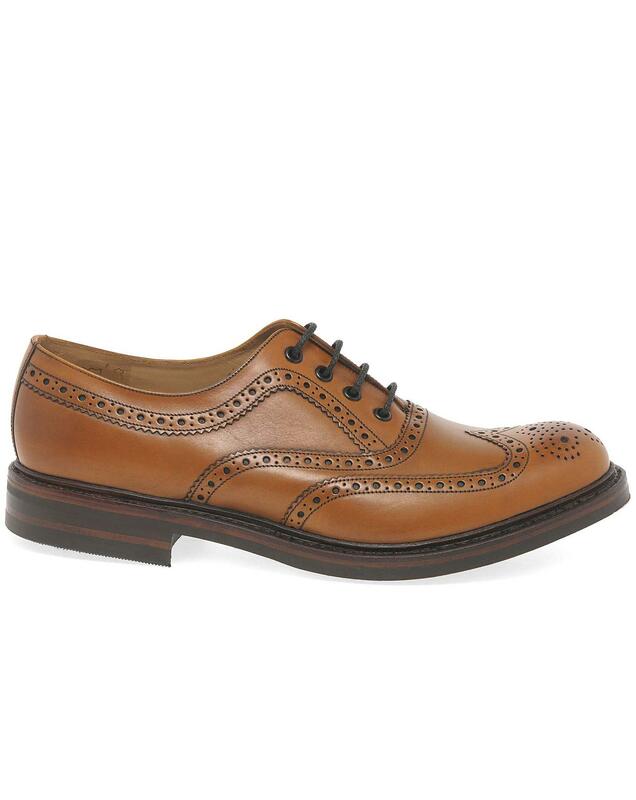 Loake Edward are stylish yet classic lace up brogues that would be perfect for formal occasions.They are available tan and are made from premium leather which makes them durable and long-lasting. They are full leather lined which makes these brogues naturally breathable. They feature brogue detailing and have Goodyear welted rubber soles that add grip and traction.